Rising air pollution levels is causing lung cancer, heart disease, and worsening asthma. It is also cutting short life expectancy. Rising air pollution levels throughout the world are not just an environmental concern. Scientists have known for decades about the link between worsening air pollution and an increase in the risks for heart disease, lung cancer, and reduced lung function. But it’s only recently that the link between air pollution levels and life expectancy has become more obvious. And that link is stronger in poorer countries, because of lower air pollution control standards, and the lack of sufficient health care to battle the illnesses caused by poor air quality. This is an issue that affects everyone because pollution is a problem in nearly every country in the world. 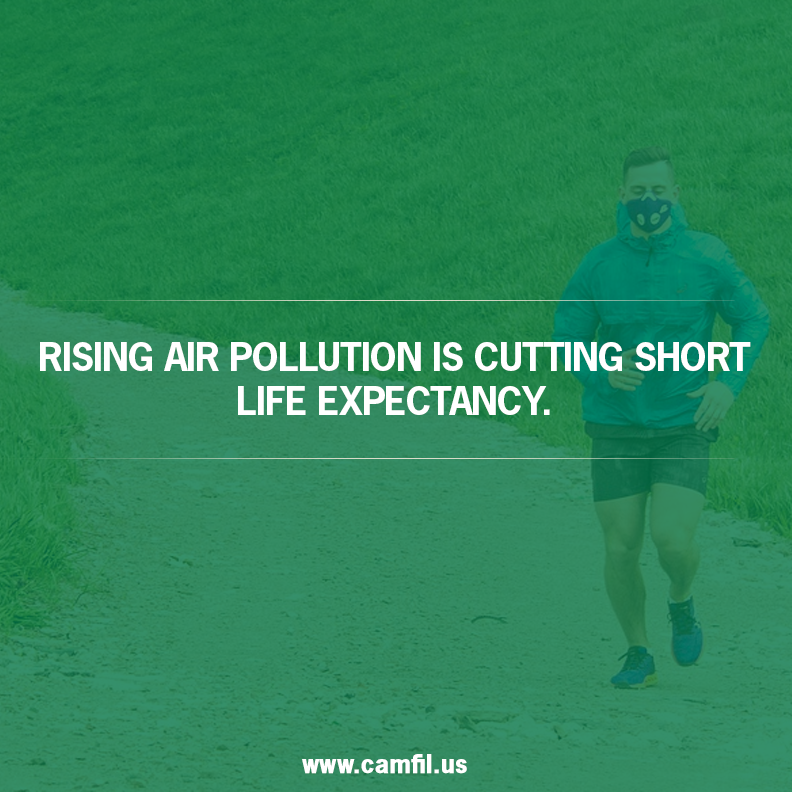 Therefore, it is important to understand how pollution directly shortens lifespan, and how to improve outdoor air quality. The reason why air pollution cuts life expectancy is that the particles that are released into the air are very toxic. The Denmark study used a sample of 100,000 people and their estimated mortality rates by age. Researchers then simulated the effects of long-term exposure to increased air pollution (of 10 micrograms of small particles per cubic meter) on mortality. The study found that the average age of an air pollution victim is 78.9 years and their average loss of life expectancy is 9-11 years - much longer than a frequently cited estimate of 1-2 years. The particles that were used to simulate the effects of long-term exposure to air pollution are commonly known as particulate matter (PM), and they are formed from emissions generated by vehicle exhaust, coal-burning factories, smokestacks, fires and construction activities. Some forms of PM such as dirt, dust, and soot are visible to the naked eye, but others are very small and cannot be detected except under a microscope. And it is these invisible pollutants, categorized as PM10 (particles 10 micrometers or smaller), PM2.5 (particles 2.5 micrometers or smaller) and PM1 (particles 1 micrometer or smaller) that pose the greatest health risks because they are easily inhaled and swallowed and can lodge in your lungs. PM has also been linked to heart and lung disease, irregular heartbeat, decreased lung function, worsening of asthma symptoms, and difficulty breathing. Given these realities, countries throughout the world are struggling to find ways to lower rising air pollution levels. Reducing emissions of air pollutants is a long and difficult process, but countries such as India have started taking steps to improve outdoor air quality. To reduce emissions, the Indian government has initiated a clean air campaign that includes proposals to shift residents to clean energy sources (such as solar power) for indoor cooking stoves, public transport, and industrial processes. Furthermore, the government is trying to lower vehicle emissions by increasing fuel taxes and parking fees and establishing no-car zones to encourage walking and bicycling. With rising air pollution becoming a problem across the globe, protecting yourself from air pollution is vital to your future health and perhaps even to your life expectancy. To reduce your exposure to bad air, make a habit of checking the U.S. Environmental Protection Agency’s (EPA’s) Air Quality Index, which gives you a daily measurement of harmful pollutants. That can help you limit your exposure to outdoor pollution, especially if you have asthma. You can also invest in air purifiers for your home or workplace to eliminate particles that are bad for your health. And finally, you can ensure that your HVAC system has high-efficiency air filters that can also trap many common pollutants before they can be inhaled or swallowed. 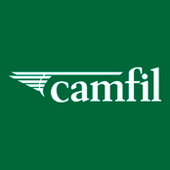 Camfil air products can be used to filter and clean the air in any indoor environment. Our products represent the very best in air filtration technology and innovation.